Lake Union Escrow began in 2003 as an independent escrow company. 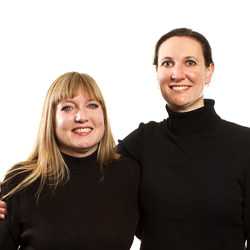 Holly and Nicole were excited to start an escrow company that concentrated on customer service and kept a personal touch. Because buying or selling a home is such a big event in life, we believe that it is important for you to have easy access to the people closing the transaction and to keep you informed throughout the process. We enjoy helping the clients through this exciting experience and are dedicated to keeping all parties connected whether you are buying, selling or refinancing. Real Estate Transactions are not something that people do every day, so it's important to know that the closing will be handled efficiently and properly. Lake Union Escrow is focused on making sure you feel secure through such an important transaction.